The army of Suleiman the Magnifcent defeated the forces of the greater Kingdom of Hungary in 1526. The area of Turkish occupation also included the region of Transylvania (which today is in Romania) as well as Upper Hungary (today Slovakia) and endured for 150 years from 1541 to 1699. Despite the disruption of military occupation, the Ottomans brought with them many cultural innovations, nowhere more so than in the then vassal territory of Transylvania. 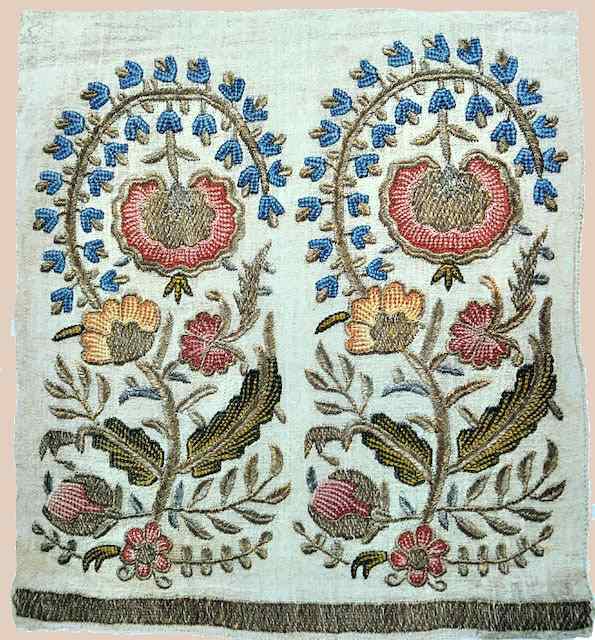 We will examine traditional courtly embroidery and its adaptation for ecclesiastical use, the evolution of noble dress, votive carpets in the Seibenburgen churches, and further extensions of Ottoman cultural patrimony across Europe in later centuries. Textiles and artifacts of Ottoman Turkey have been preserved in museum and on-site collections in Hungary and Romania, as well as abroad. Efforts at conservancy and preservation are of crucial importance today. Finally, discoveries of vestiges of Ottoman heritage in Central Europe will confirm the longevity of aesthetic preference. Joyce Corbett is an independent scholar and curator specializing in Central Europe. Her areas of research include folk art, dress and textiles. She has curated numerous exhibitions on Hungary, Romania and Slovakia; including “Between East and West: Folk Art Treasures of Romania (co-authored catalog) at the Mingei International Museum, San Diego, CA in 2011. She was a contributor to the exhibit related publication: Resplendent Dress from Southeastern Europe: Central European Embroidery, Fowler Museum at UCLA, (2013), She has presented papers frequently at conferences internationally. She was a Fulbright Research Scholar. Ms Corbett organizes study groups to travel to Hungary and Romania to examine folk art and cultural history. She is authoring a biography of the Hungarian ceramics designer Eva Zeisel.